In the winter season, Celebrity Reflection sails round-trip from Miami, Florida on featuring Eastern Caribbean itineraries, departing on Saturdays. 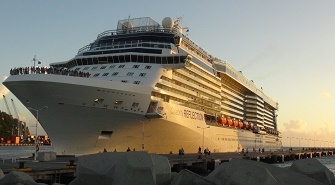 For the summer season, Celebrity Reflection sails the Mediterranean from Rome, Italy. 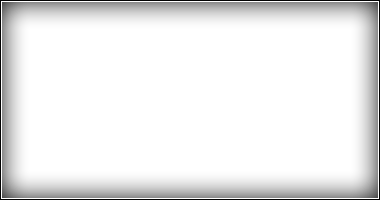 Visit www.celebrity.com for a complete schedule. Designed exclusively for junior cruisers. Children age 3-11 will thrive in this environment, which features educational tools for knowledge and play. Cruisers ages 12-17 VIP area geared specifically for teens. Teen-oriented dance club and coffee lounge. Find true poolside serenity at the Celebrity Solstice Solarium. Featuring a gorgeous lap pool, sparkling waterfalls, thickly padded lounge chairs, and an adults-only policy. Guests seeking a particularly quiet spot to get away from it all can do so in a new venue inspired precisely by that interest. "The Hideaway" on Celebrity Reflection provide a high-tech escape for vacationers relaxing with their iPads or perhaps trying out a new Apple product from the Celebrity iLounge, or a low-tech retreat for reading a good book. Inspired by the live trees suspended within the Grand Foyer of every Solstice Class ship, the design of The Hideaway reflects that of an upscale, avant-garde tree house, with cozy, intimate lounging "nests," or niches. Eight chic, cabana-style settings comfortably accommodating two to four guests each, the Alcoves are designed to allow for relaxation and seclusion within a hip ambience, just steps away from the lively vibe of The Lawn Club. The Alcoves can be booked online for full-day rentals, from 9 am to 9 pm, or even for the entire voyage. Rates are $99 per Alcove per day on days in port, and $149 per day on days at sea. Special values are available for guests who book one of The Alcoves for several days or for the entire cruise. Prices subject to change. Celebrity Reflection is the fifth and final ship in the Solstice class and there are even more inspired additions to this ship. Celebrity Reflection has expanded with an additional deck, 72 additional staterooms overall, and more seating in the main and specialty dining rooms, more sun loungers on the pool deck and more seats in theater. Ocean View 177 Sq. ft.
Suite accommodations include butler service, personal computer, printer and internet service, personalized stationary, terry cloth robes in your stateroom during the cruise, priority check-in and debarkation, express luggage delivery, dining room seating preference and in-suite dining. 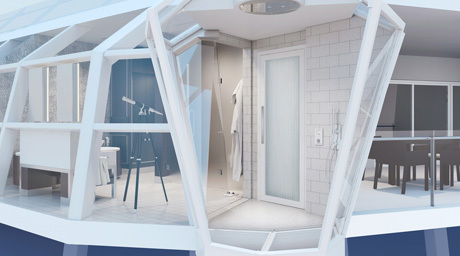 Celebrity Reflection will feature an all-glass shower extending out over the edge of the ship. Passengers can enjoy breathtaking sea views while discreetly showering, courtesy of the shower's special reflective glass. But, if they seek even further privacy, the shower also features 'smart glass.' At the flick of a switch, guests can activate an electrochromatic technology which instantly transforms the glass from transparent to translucent. Each will offer 300 square feet of luxurious interior space and spacious 79-square-foot verandas, paired with all the amenities associated with Celebrity's AquaClass accommodations, including exclusive and complimentary access to the highly-rated specialty restaurant, "Blu," noted for its inviting, modern design and flavorful, healthy cuisine. The new suites also will offer the luxurious 24/7 butler service that is a hallmark of every suite across the Celebrity fleet. 441-square-foot stateroom area and 118-square foot veranda, with floor-to-ceiling windows and veranda doors, all designed to maximize the stunning views of the sea. Celebrity's Signature Suites each can accommodate up to four guests, and also will offer the luxurious 24/7 butler service that is a hallmark of every suite across the Celebrity fleet. The 1,636-square-foot Reflection Suite with 194-square-foot veranda will be Celebrity's first two-bedroom suite, complete with its distinctive sea-view bathroom with soothing rain shower. The entire area housing the Reflection Suite and Signature Suites can be accessed only by cardkey, exclusively among guests booked in the elite group of suites, such that a family or other group of up to 26 guests. Located on the corner of deck 14. You can see the menus at the Celebrity Dining section of the Celebrity Cruises website – click on specialty dining and scroll down, you will see a list of restaurants on the Celebrity Reflection. Experience award-winning cuisine, superlative service, and stunning ocean views in a most refined dining atmosphere. Two-level dining venue is open for breakfast, lunch and dinner. A twist on the restaurant of the same name on Celebrity Century, and reflective of the specialty restaurants on the cruise line's Millennium-class fleet, Murano presents a blend of classic and modern Continental cuisine. $40 per person. A new restaurant on The Lawn Club featuring fast and fresh food for breakfast and lunch, fresh-baked bread, pastries and coffees. Salads, paninis, specialty coffees, wine and beer. Qsine is a one-of-a-kind restaurant featuring a unique approach to dining. At Qsine, Celebrity Cruises strives to awaken your palate through a modern and playful offering of familiar and memorable dishes from around the world. And, to make it even more playful, the menu and wine list are creatively presented on an iPadTM. $45 per person. The bright and modern Lawn Club Grill celebrates the flavorful joys of outdoor grilling - with cosmopolitan flair. $40 per person. The floor to ceiling windows will captivate and the expansive space will please you as you relax in the comfy seating all around. The lounge is versatile and can be transformed to suit any occasion. This popular spot on the Solstice Class ships anchors one end of the Lawn Club, the first half-acre of real grass on a cruise ship, on the highest deck. Spectacular views and a casual country club atmosphere make this a relaxing ritual every evening. Dance the night away in a vibrant nightclub designed for those ready to kick back and get down. Quasar is a modern nightclub like no other you will experience on the open seas. Tucked in a corner of the Martini Bar, Crush takes the frozen bar concept, and the appreciation of fine vodka and caviar, a bit further. The communal table features and ice well right down the center to keep your vodka and caviar selections icy cold during tastings. Try some of the more than 100 intriguing vodkas in our collection. Start your evening off right with a soothing backdrop of instrumental or vocal sounds and the palpable air of anticipation as you gather with newfound friends. The lounge is also a great place to drop in for a nightcap. A new venue on The Lawn Club that allows intimate, hands-on instruction from resident experts in drawing, painting, beading, drink mixology, culinary lessons, taste tests and chef-prepared dinners. The Lawn Club is the central element of the top-deck experiences on Celebrity Solstice. The Patio on the Lawn offers elegant yet relaxed sitting areas where luxury meets casual country club charm. Guests can read the morning paper, lose themselves in a good novel, or enjoy a cup of gourmet coffee with friends, courtesy of the patio’s coffee cart service. The half-acre Lawn Club on Celebrity Solstice invites guests to enjoy bocce ball and croquet, practice their putting, picnic with a basket of wine and cheese, or simply feel the grass between their toes, while sailing the oceans of the world. The area also features the Hot Glass Show, another first in the industry, developed in collaboration with The Corning Museum of Glass. Energetic, lively and casual; a large poolside spot for light and refreshing cocktails, frozen specialties and non-alcoholic offerings, from sunup to sundown. The musical program transitions from the latest hits to cool Ibiza Beach and hot Latin House rhythms. Deck includes AquaSpa, Persian Garden Turkish Saunas, Fitness area.